This is a guest article by Christophe Rochefolle, Director of Operational Excellence at OUI.sncf, France. 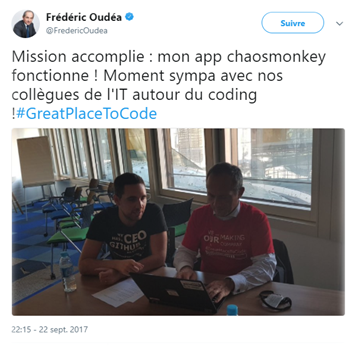 It is based on a presentation (in French) he gave during the second Meetup of the Paris Chaos Engineering Community. You may start by telling them you will break everything in production, and that will be fun! We call this in French “coming with big clogs — Gros Sabots”. They will see you coming from far, but except for noises, there is few chances you will hit the target. They will probably ask for Return of Investment (R.O.I.). 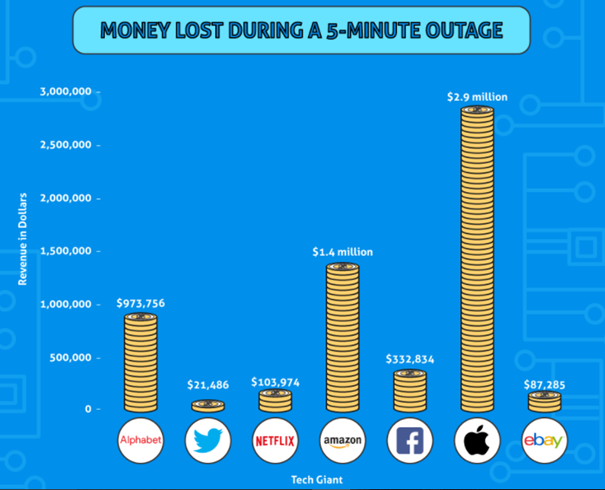 By arranging number of incidents, outage by year, cost of outage, and some hypothesis to reduce them, you may easily build a proposition with 2–3 years R.O.I. However, between a project with new revenue and one which will maybe avoid losses, if they have to choose, the first one will be probably chosen first. The rational approach is not the best one for a subject like Chaos Engineering. 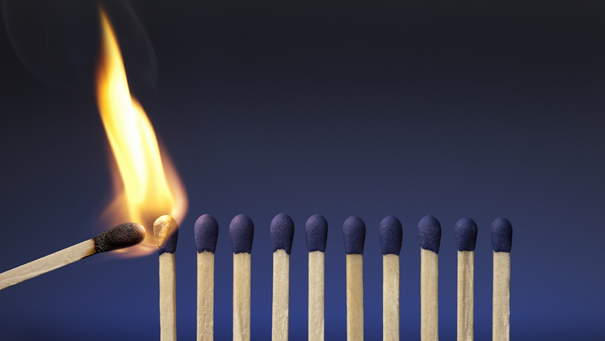 You must review your influence strategies. Biologist Henri Laborit wrote in 1976: “Faced to unknown experience, man has only three choices: fight, do nothing or flee “. This subject is quite new, with few visibility, it is important to allow your boss to discover the concept at his speed, to avoid instinctive rejection. Our first goal here is only to make Chaos Engineering sound familiar before going further. From book : L’élan sociodynamique, Jean-Christian Fauvet You will be able to focus by adapting your strategy and identifying the way they move and act. Using your energy on the right priorities to make them allies. Fence-sitters (Passives)—They define 40–80% of the stakeholders. Despite ones excellent inter personal skills you may not be able to reach all your stakeholders. 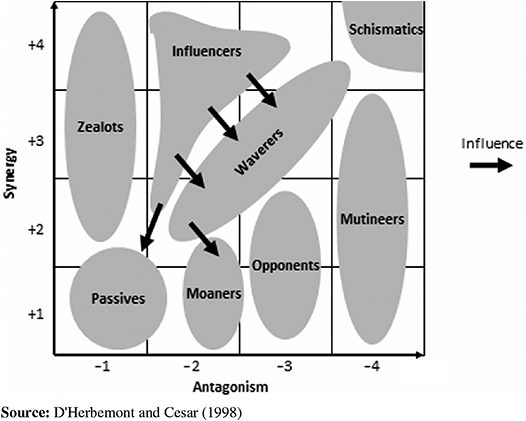 A key asset in winning the masses is using influencers who run your campaign and positively influence the passives. As passives are impressionable they are easily swayed based on the feel in your project and it’s important they moved in your preferred direction. Winning the passives increase the synergy with your project team and increase the chances of project success. Other ways of wining Passives over is ensuring, these individuals feel part and parcel of the project i.e. are consulted and informed in what is going on. Foes (Mutineers, Moaners and Opponents)—They are a handful. However they have the ability to cause great damage to the synergy within the project team. Opponents and Mutineers are against your project for various reasons and they take any opportunity to antagonize the project delivery. This handful of individuals may rally those on the fence to be antagonistic towards the project. Established who they are, their concerns and evaluate if they can be resolved e.g. do they want to be more involved. If not, contain their impact on the passives as they would sway against you. Changing the global dynamic can take many forms. Sometimes it will be enough to change the views of some player on the subject … Be attentive to the evolution of the positions rather than the “photography” of these at a T time to mobilize the players who influence the dynamics towards the synergy. Once you have identified your players, you should be adapt your story to their concerns, questions or objections. Never hesitate to play with emotions, they are a major factor in decision making. Moreover, it is during this type of incident that you should not hesitate to be opportunistic to advance your pawns, to propose new practices that will limit the impact in future incidents. Werner Vogels, Vice President & Chief Technology Officer at Amazon, introduce this subject by explaining that with size and continuous evolution of our system: “Everything fails all the time”. The main point is no more to avoid failures, but to limit impact of those failures. With you CIO/CTO, you may tell it is better to have an experiment in production during day time with everyone available, thus training teams and limit impact, instead of react during night outage with sleepy people and limited resources. The final goal of Chaos Engineering is to sleep like a log, without worrying about issues. You may also point out links with actual practice. For business continuity plan, you already do experiments in production, disaster recovery testing. This type of experiment is at the heart of the Chaos Engineering approach, the main difference is that we don’t want to do it once, manually. We want to do it automatically and continuously. Similarly, a Chaos Engineering experiment is about injecting perturbation and analyzing impact to detect weakness. This kind of analysis is very close to root cause analysis used during postmortem of outage. Regular practice during planned exercises, will allow your teams to improve their skills and to work more on prevention action than correcting issues. Moreover, it will test your monitoring and alerting system, a task rarely done in real life, even if detection is a major part of an effective system to limit outage impact. You may also include you Chief Security as experiments will also help reinforce defense and security of your system: Security Chaos Engineering: A new paradigm for cybersecurity. And even bank: Fidelity Investments. For the more adventurous, it is better to highlight the innovative side and precursors of these practices. Even if we are more and more, it is a discipline that remains to be explored. This approach will allow you to build allies who will help you influence the system and launch Chaos Engineering in your company. Rational persuasion like R.O.I only provides 23% of engagement whereas inspiration tactics (90%), consultation (55%) and personal appeals (42%) are far more efficient. In any case, buying a beer (31%) is always better than pressure (3%). 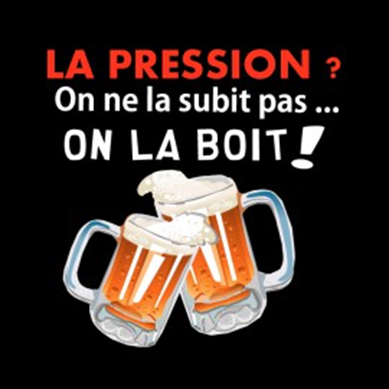 In French, we say that we do not suffer pressure, we drink it, as pressure (“pression” in French) is a synonym for beer. 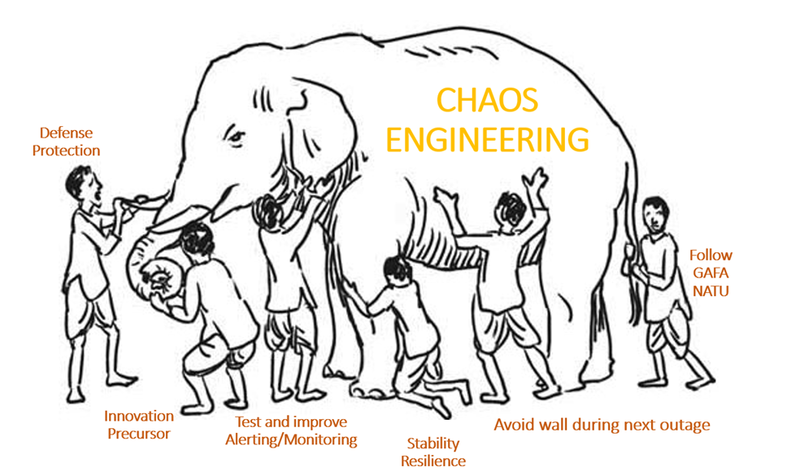 Please do share your tactics to convince your boss to do Chaos Engineering in comments below!